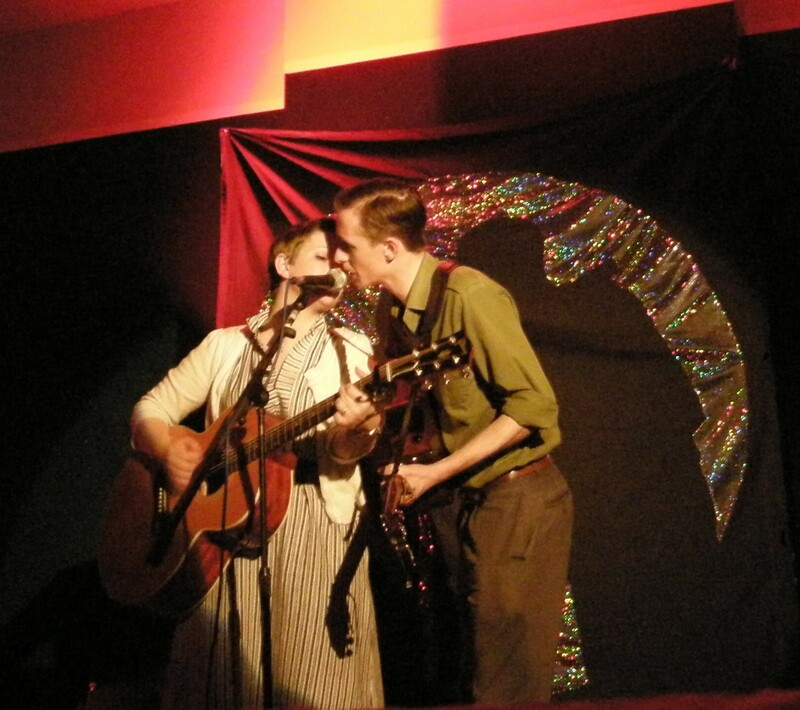 The senior games room was transformed last night by a sparkly silhouette backdrop for a heartfelt performance by indi folk duo Trevor Moss and Hannah-Lou. This was the second leg of their “Up the Club” tour which takes them from Glasgow, to Bexhill –on- Sea. Pepe Belmonte supported with his intricate bluesy guitar tales and local Manc /Canadian Gabriel Minnikin opened the gig with his own soulful songs.